Back when I was a Young New Romantic, ‘The Teardrop Explodes’ were one of my favourite bands. ‘Reward’ is still on my play list when I Dj, its such a funky feel good classic. As you will already know our hero of the evening has had a very successful career as a solo artist too, that has lasted nearly forty years. However, aside from his illustrious career as a recording and touring artist.Julian Cope is a Wizard and celebrated Shaman..
His first publication,The Modern Antiquarian it is a Wizard Classic, that details every stone circle and sacred site in the United Kingdom and Ireland. Mr Cope visited them all and photographed them personally. For novice wizards just beginning on the path of consciousness. The Modern Antiquarian is an essential tool. Because there is nothing else like it. 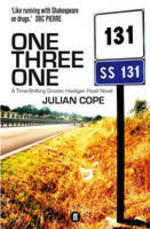 When I found that I had the opportunity to attend Julian’s ‘appearance at “The Edinburgh Book Festival,” where he was to be giving a reading from his new book 131, I jumped at the chance. Julian is a Visionary on a mission to change the consciousness of the Planet. To show people a different way and to help them to heal. This is the centre of his work as an author. Fiction that has meaning and that has the potential to change the consciousness of the people that read it. Mr Cope was a very enigmatic figure as he took the stage tonight, with the presence and the stage-craft of a true Master. Enchanting the capacity audience with the ease of an old Pro, which he undoubtedly is. It was Julian’s presence that was as transformational as it was Rock N Roll. The Book 131, is a time-travelling odyssey with characters and plot derived from his own experience both as a mystic and a Rock Legend. 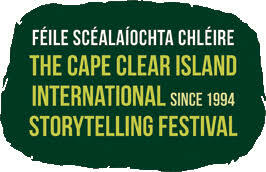 Bringing to life and immortalizing his own experiences in the captivating way that only a true Bard and Visionary can. We discovered that it all began with a bedtime story that he would create for his daughter… so its foundations are built on humour and unconditional love. With only an hour to address his audience. 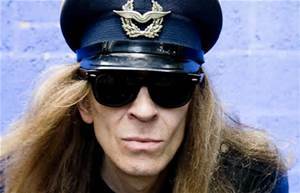 Julian Cope introduced us to his world as a professional Wizard and caring Dad. With more than enough source material For 132 and 134. Amazing stuff, reminiscent of the four noble truths.Could Mr Cope’s new book be an Antiquarian guide book for life? Although a fan of his recorded work myself. It was the Shaman and the Author that gripped me tonight. He explained his new book as a tool of transformation.I am salivating at the prospect of reading it. What a Lovely Rock N Roll Legend He Is and what a lovely way to spend an evening. “Ladies and.Gentlemen. Mr Julian Cope!”.